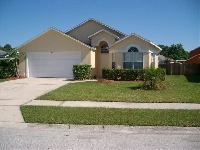 Searching for a dreamvilla to rent in Orlando, Gulf of Mexico or Atlantic beaches? You found the right place! Over 1500 homes to rent and our personal service will make your dreams come true. If you find there are too many choices for you, just request a personal offer and we will send you a list of homes matching your needs.